They'll be more on this at some point but it is the most brilliant cheater print I've ever seen! Rebecca is a total star and the gal knows me well! Thanks so very much chica! 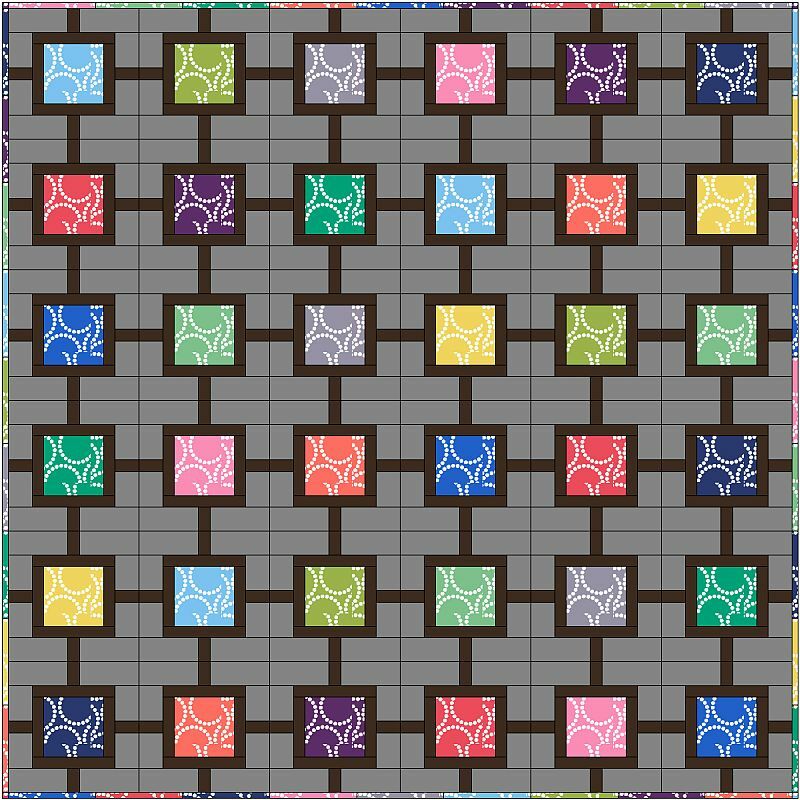 there is a brand new quilt along featuring the gorgeous Pearl Bracelets by Lizzy House! 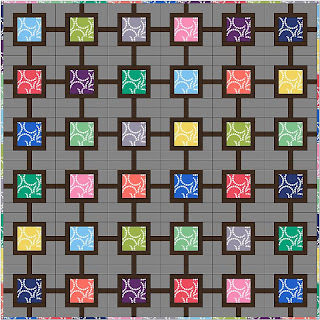 My sponsor, Christa Quilts, is starting her 6th in a series of complete quilt alongs on her blog. String of Pearls will launch Wednesday, June 5th at ChristaQuiltsBlog.com. Christa will have a limited number of kits available with 10% off any kit purchase through 6/30. Just use the coupon code CQA2013 at checkout. For complete details along with the quilt along schedule, visit ChristasQuiltAlong.com. It will be fun! Hands free is nice! My favorite picture is of my 10 year old daughter when she was a baby, sitting on my lap while I was on the computer, LOL!! Looks like I missed out on a great swap! Sent off for the Christa pearl bracelet bundle - oops! Wee Lois - that old already?? Oh life is changing for you. We didn't have a baby monitor. I bet that's nice. I saw recently baby camera's so that parents could see how the baby was doing without peeping in. aww i have that wonky star print too! can't believe how time flies and the bambino is getting so big! Time is a luxury when you have little ones....hope you get lots of YOU time tonight! Never needed the monitor for my kids. They never had any problem making loud noise. Now that my baby is four, I kinda like the idea of having a baby to cuddle every night. Might have to go find one to borrow! Good for you for putting the baby down and picking up some sewing - hope both of you had a good night's sleep :) Love the LV squares and can't wait for mine to arrive! Weren't they wonderful fabrics?! I am so happy with them. I also like some of the other CF prints on Sooonflower as well. I also have to borrow the babies when I need a snuggle. Love the cheater fabric! And I hope the little one is sleeping well for you - finally you might start to feel 'human' again! I am so in love with this post. Such goodness and eye candy! Yippee! Geeky prints are arriving in Galway this week. I CAN NOT WAIT! winner and info for UK peeps!